I have a high school checking account. Recently 43 dollars was taken from my account by a “nas-coal”, chase has no idea what this is, but this isn’t even the issue i came to complain about. Chase has put a hold on my account until july 1st, 2014. Do they have the right to seal me off from my hard earned money? Their lines always seem to be busy and their service is horrible. I’m in a predicament. a reply would be appreciated, thanks. Anyone had this experience? Any suggestions? Want to know how Chase handles customers in arrears? 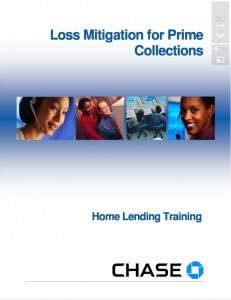 Someone uploaded Chase’s Loss Mitigation Guide for Prime Collections to Scribd. 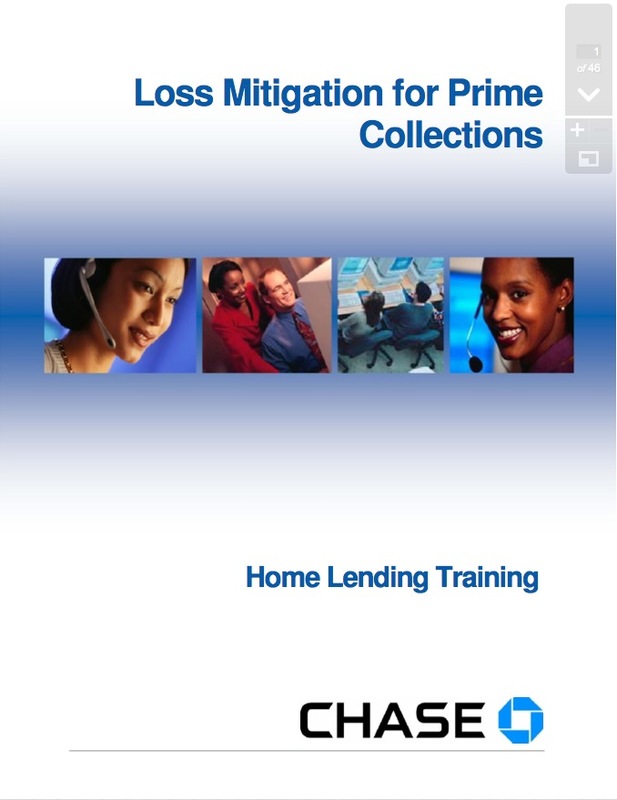 Makes you wonder if the have a different guide for subprime borrowers.